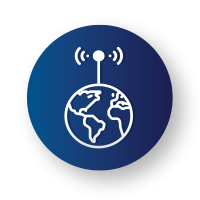 What is LPWAN - LoRa®? homeWhat is LPWAN - LoRa®? With the arrival of internet of things (IoT for its acronym in English), new communication technologies were developed under the name of "broad networks of low consumption" (LPWAN for its acronym in English) to meet different needs. The LPWAN provided a platform for the development of different modulations within which LoRa® and the Symphony Link ™ system stand out. Developed by LinkLabs and incorporated by Tecun in its new line of electric, gas and water energy meters Tecun LoRa®, which brings all the benefits of the LPWAN to the measurement sector. "The LPWAN represent the most dynamic development and capable of transforming the situation in the market." 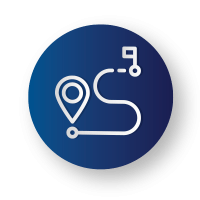 Achieve the greatest DISTANCE in the simplest way, which resulted in an average coverage of 5km in densely populated areas and 40km in rural areas without the need to have a line of sight. He LOW CONSUMPTION of energy to establish communications both in reception and sending of messages gives us a useful life of more than 60 months for the batteries of our gas and water meters. An end-to-end data encryption system that meets the highest global standards (AES 128, TLS x509 and TLS orAuth) that provides total SECURITY in the transmission, storage and handling of information. In the area of ​​communications there will always be technologies that adapt to the needs of the market. With LoRa® we have the perfect union for the measurement sector, low costs and greater coverage. 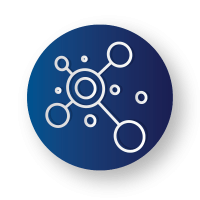 The star network topology of Lora® allows to reach great distances and obtain a geographical coverage that, until now, no other technology offers, maintaining low prices and that do not require the deployment and maintenance of thousands of nodes. "With [LPWAN] whole cities can be covered with a couple of stations, which do not require the deployment and maintenance of thousands of nodes. This has made possible the IoT with a minimum investment in infrastructure "